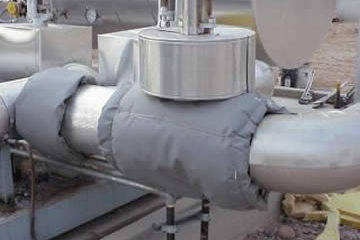 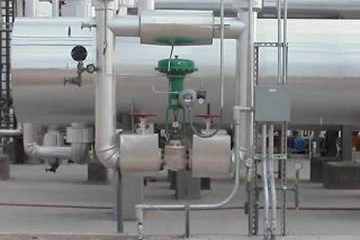 The flange valve covers are removable blankets. 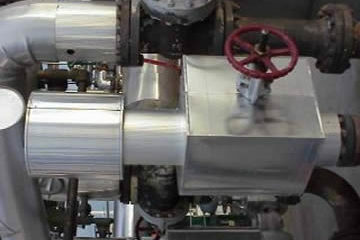 The piping insulation is 2″ fiberglass with .010 corrugated aluminum. 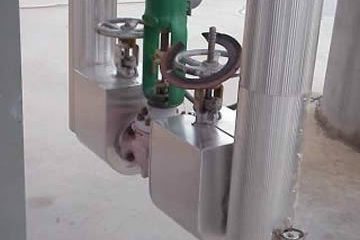 The tank was 4″ of crimp wrap with .020 stucco embossed aluminum.